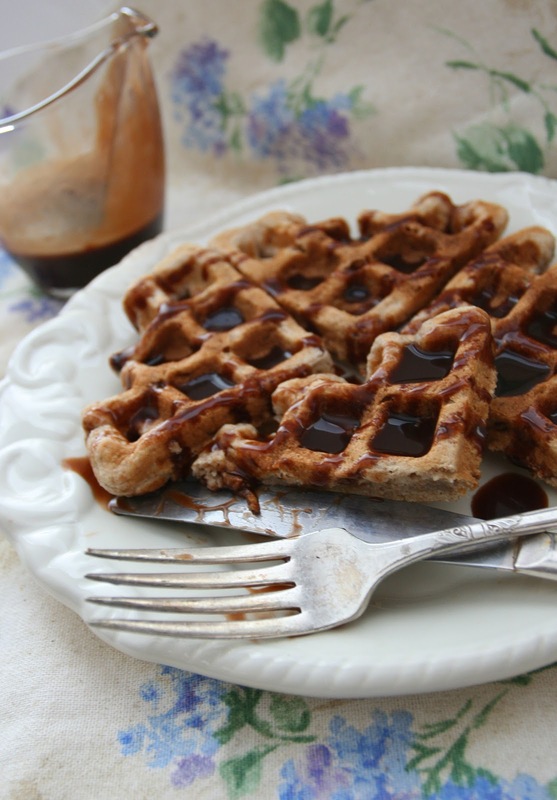 Banana Whole Wheat Waffles. Yum. Yum. YUM. Did I mention that they are delicious? I love Bananas, and I hate throwing them away. But sometimes I just don't feel like Banana Bread, or I already have too many frozen in the freezer for ice cream and smoothies. You know that feeling? That's where I decided to do some research and create a waffle out of them. I've done pancakes before, but I just wanted a little something new. 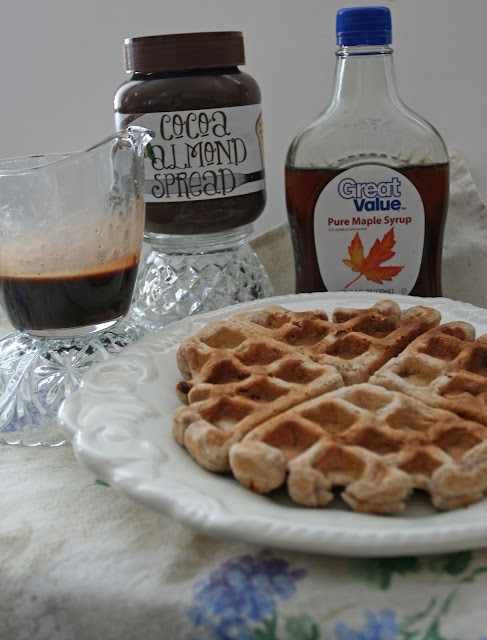 And just for good measure, I made some Chocolate-Maple syrup to pour over the top of them. Yum to infinity. Truly. I recently discovered Trader Joe's Chocolate Almond Spread. Can I tell you that I like it so much better than Nutella without offending the Nutella powers that rule the chocolate spread universe?? Well, I do. I simply love Almonds in all their forms, so that flavor is very appealing to me. I'm not likely to chomp down a handful of Hazelnuts like I would Almonds, so that tells me right there that I will prefer this flavor more. I am currently stocking up on the Trader Joe's version for my Food Storage....just sayin'. GO HERE FOR THE RECIPES. You will never look at old bananas the same way again.